In an inclusive wellness gym, it is easy to get on and off machines. The machines can be used safely and independently by as many different users as possible, regardless of ability, while in between machines there is ample room to maneuver with various mobility aids. HUR equipment is designed in accordance with current requirements for accessibility. The machines are designed to efficiently use space while offering impediment-free accessibility. Accordingly, it is possible to realize a facility that is accessible for all, regardless of ability, with our machines. Our unique HUR Easy Access machines embody top-design and expand user options far more than more traditional solutions. 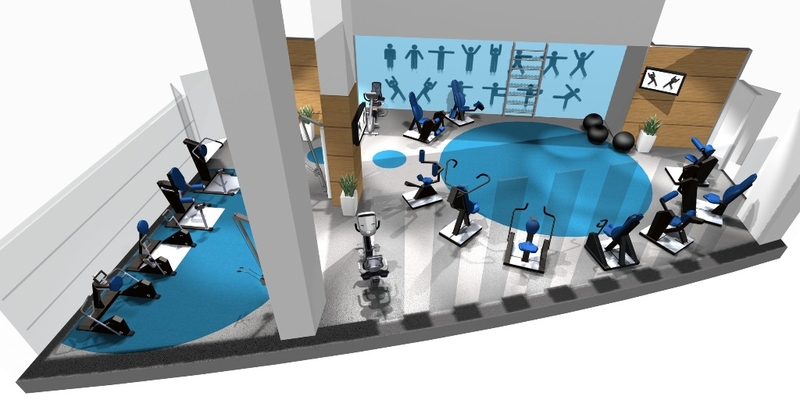 The gym in this picture is equipped with machines that both in respect to function and placement are fully accessible.